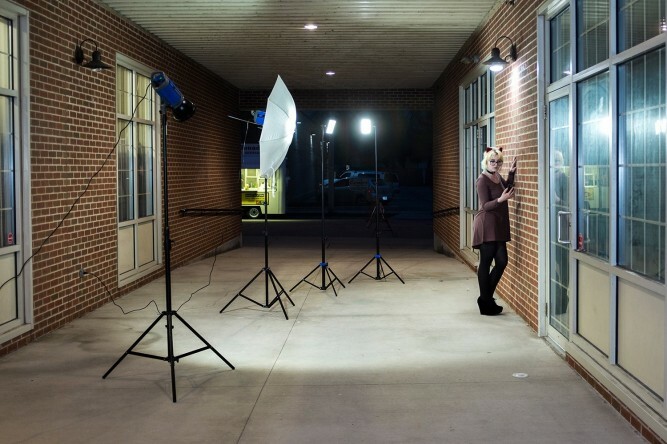 There are many choices for photographers when it comes to lighting. Too often, photographers rely on natural lighting for the majority of their portraits. Although natural light is an integral part of a photographer’s repertoire, it is also the factor that is least reliable and often changing. 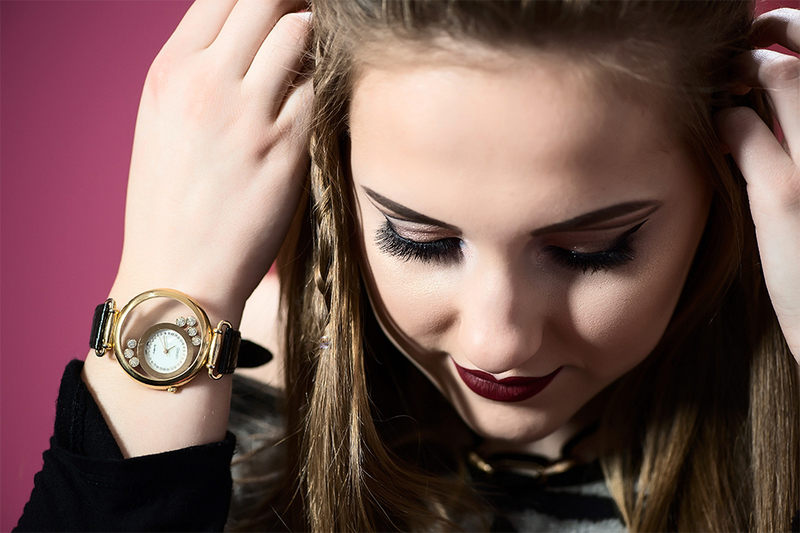 Here is where a good photographer can shine by utilizing different lighting sources in their arsenal. 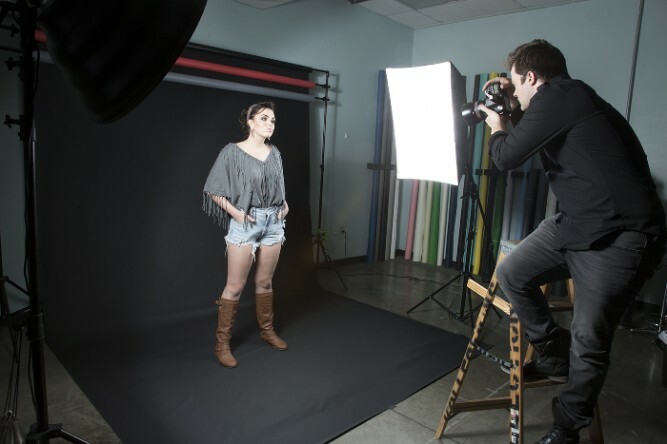 The first, and most commonly used, is studio lighting. This typically consists of 2-5 strobes with some sort of diffuser. The lights are situated so they create a main light and fill light source, accompanied by background, accent or hair lights. The combination of lights can be diffused with soft boxes, umbrellas, barn doors, snoots, grids and a plethora of other light modifiers. 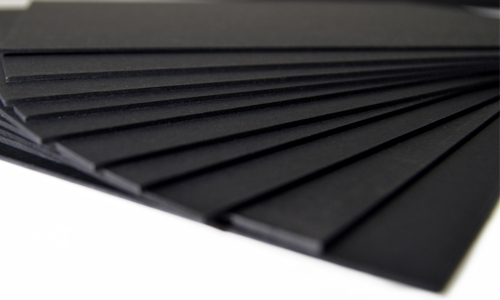 These modifiers soften, direct, and/or limit the light coming from your studio strobe. Using three lights in studio, we were able to create a pleasing portrait of our model, Lara. The main light (Alienbee 800) was located 45 degrees to the right of the subject (left side of our viewpoint) with an Interfit 3’x5’ softbox. 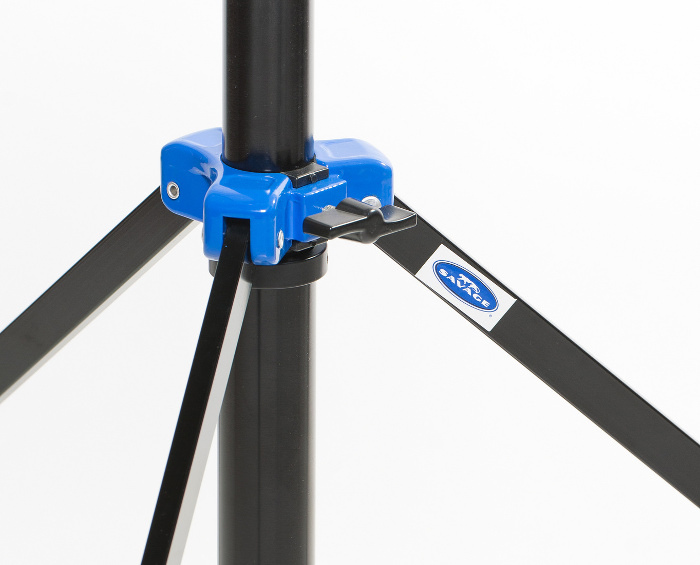 The fill light was located behind the camera and covered with an Interfit 36” octobox. We also used a hair light behind the model to create separation, which was fitted with a 30 degree honeycomb grid diffuser. 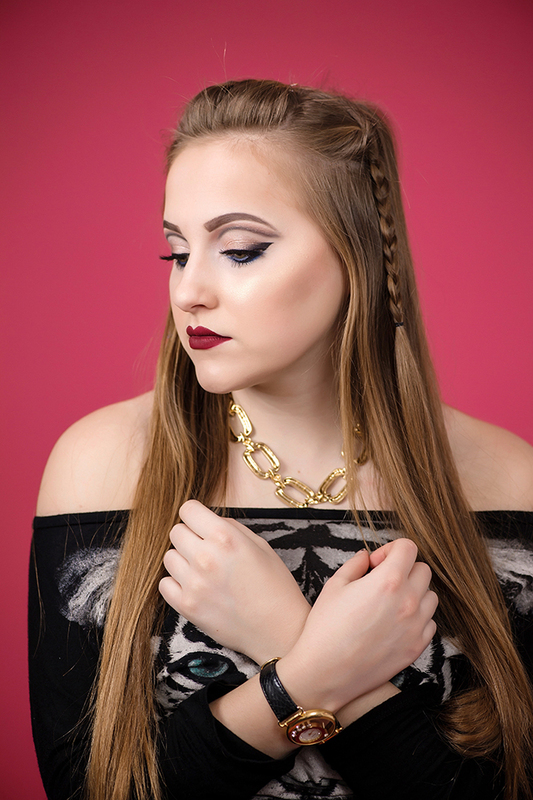 By locating the main light fairly close, we were able to feather the light across the face and minimize harsh shadows. A lighting ratio of 2:1 was used between the main and fill lights. Strobes are convenient because they produce a consistent and easily controllable light. You adjust the location and power of the light to create soft or harsh lighting. 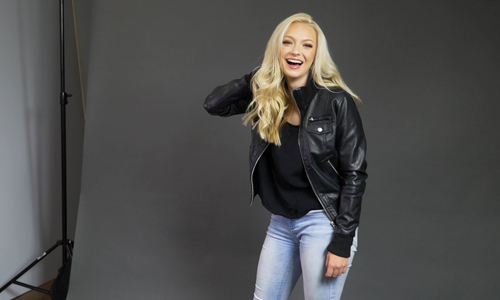 Some drawbacks are when subject distance from the lights vary, the harsh “pop” of the flash triggering and the need to take a test shot to see exactly where your light is falling. Continuous lighting is what it sounds like, lighting that is always on. There is no flash, but rather a constant stream of light. If you want to use lighting that you can see, like you do with natural light, continuous lighting is your ticket. 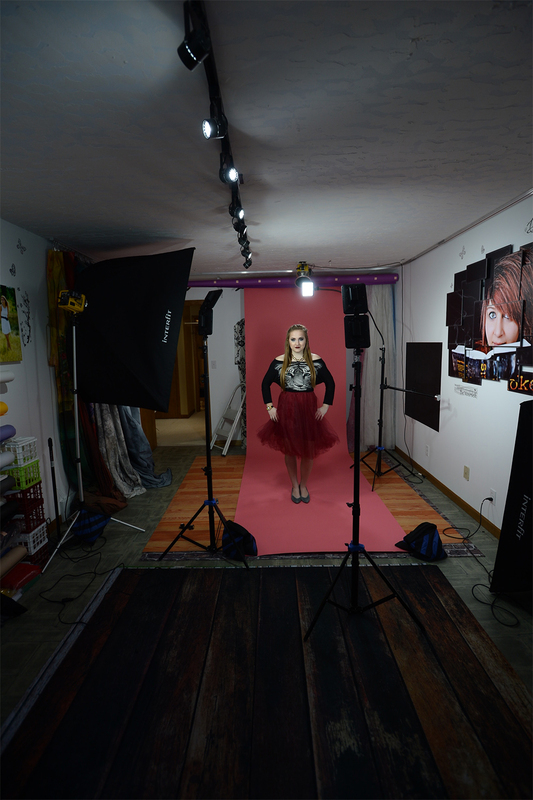 Many years ago, photographers used continuous lighting in their studios. Unfortunately, these were heavy, power hungry and blister-inducing hot lamps. Think grabbing your table lamp, cranking it up 5 to 10 times and wielding that around. Not fun. Enter LED lighting.This lighting uses a fraction of the power of old continuous lighting, weighs a lot less and barely produces any heat.This light can be used to create gorgeous portraits in studio, as well. The advantage is that you see exactly where the light is falling and you can make adjustments to the power output to create the ratio of light you want. 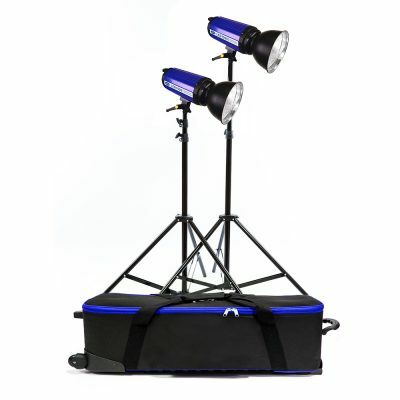 Our lights are daylight balanced and product 1000 watts per head, so working in studio or outside is a breeze. 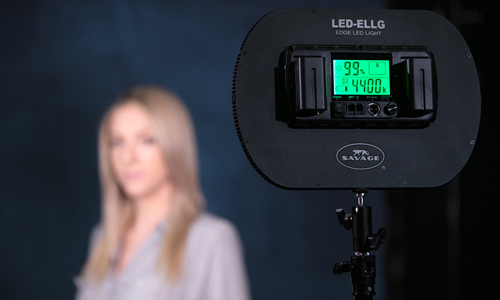 We used the Savage Universal 2000 Watt Location Light Kit to replicate the strobe portrait of our model. Both heads are fully adjustable and come with Bowens connectors for softboxes. We used 36” translucent shoot-thru umbrellas for this portrait. You can see that there is very little difference between the strobe photo and the LED Location Kit photo. The easiest part was setup. 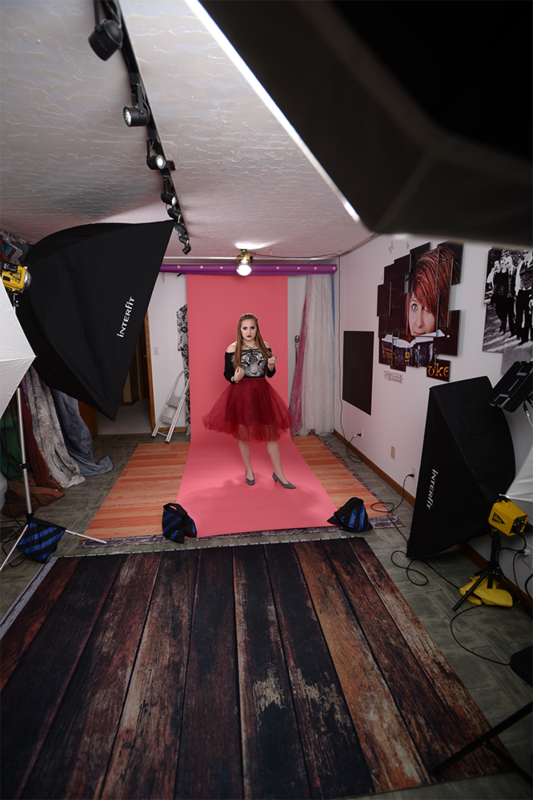 We adjusted everything in a fraction of the time that it took to set up our studio strobes, since you see the light as adjustments were made. Basically, it is WYSIWYG (what you see is what you get). If you want to work in tighter locations or just have a smaller kit, your options fall into two categories — LED or Speedlights. Our first option was to go lightweight and easily adjustable, so we used the Savage Universal Cobra Interview LED Light Kit. 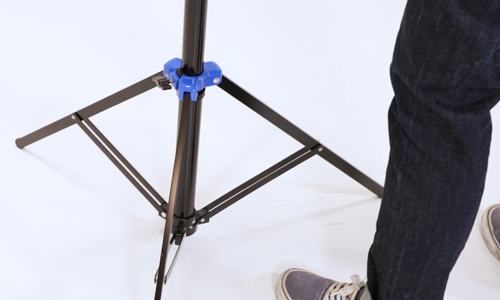 We used five LED panels for our light setup, mounted on Savage Universal’s innovative Drop Stands. Each panel consists of 204 LEDs that produces 1440 lumens, scalable between 0-100 percent power, with white balance adjustable from 3200 and 5600 degrees K.
Using Lara as our subject, we set stacked two of the Luminous Pro LED panels on top of each other for our main and fill lights on Drop Stands. Same relative configuration (main/fill) as before, with the fifth light acting as our hair light on the adjustable “Cobra” arm above and behind our subject. As you can see, there was no modifier on the LED panels, but we were able to again create a gorgeous portrait of Lara. Because of their size, our lights had to be relatively close to our subject. There is more light falloff at the fringes, as well as a bit less feathering of light. However, if you are working in tight spaces, this is an acceptable tradeoff. Speedlights can be used in the same relative fashion as the Cobra Interview LED Light Kit. They product a small, more focused point of light. 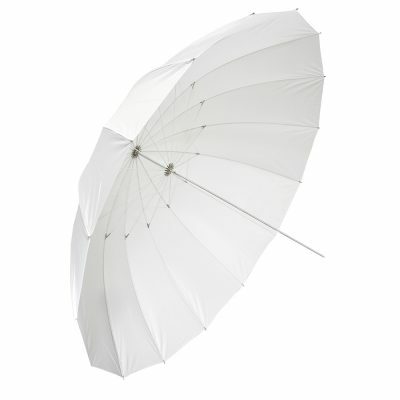 Most photographers use a small softbox or umbrella to soften the light from a Speedlight. By adjusting power, we can produce a nice portrait, though there is a bit more of a hotspot at the center than other sources. 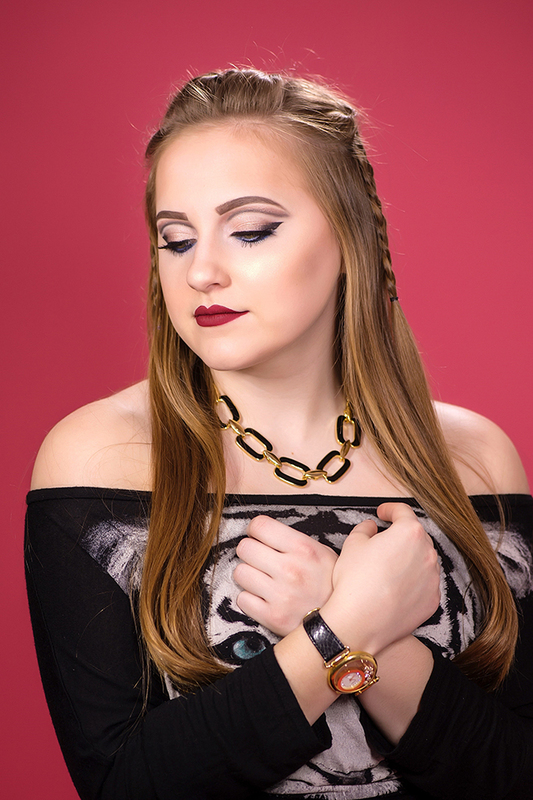 Test shots are usually necessary, as you cannot see what you are getting, which is similar to studio strobes. Basically, Speedlights act as mini studio strobes. Again, we created a nice portrait of Lara with Speedlights, but with a bit more contrast than the other lights we used. 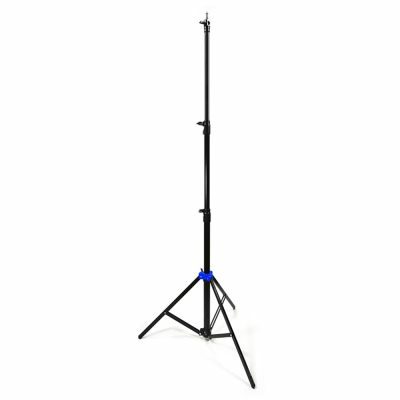 I like these for location work outside, especially when needing a super light setup for remote shoots or in areas where larger lighting just will not work (dance floors, constant moving documentation, sports, etc.). Having a lot of options for yourself can create unique looks for your work. In addition, each lighting source can create the look of each other. Why have a variety of lighting? Because each lighting option has its advantages and can create a look unique to the others. David Hakamaki is the owner of Cutting Edge Photography in Michigan. David has become known as the "Home Based Photography Guru" and operates a full-time home-based studio in a small, rural community. David has gained national recognition for his work with HS Seniors, Families, Children and Wedding couples. David serves on Simply Color Lab’s “Senior Dream Team”, and is a member of Kubota Image Tools’ “Champions”. He is sponsored by Simply Color Lab, Kubota Imaging Tools, Triple Scoop Music, Animoto, Fundy Software & LumiQuest. 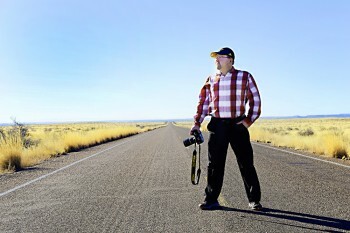 David is a regular Speaker at local, state & national conferences, provides training webinars, acts as a Photography Mentor, serves as a beta tester on industry products and has been featured in PPA Today. Hi John, great question! 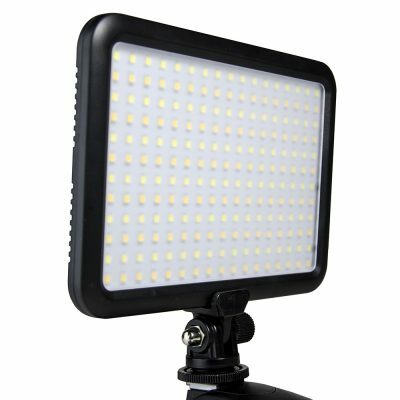 The Luminous Pro LED Video Lights in the Cobra Interview Light Kit are bi-color and blendable from 5400K to 3200K.